The SpiderHolster Black Widow Spider Camera Holster enables you to have quick access to your camera without having it on your shoulder or over your neck. 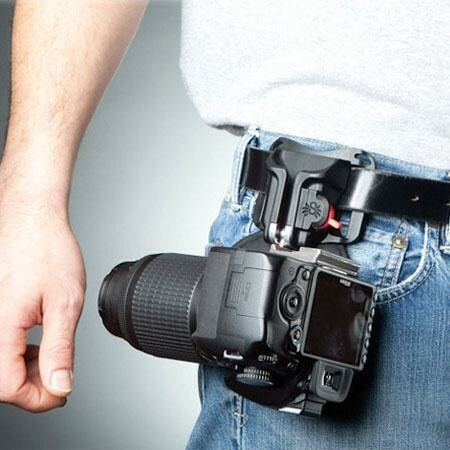 Worn on a belt, the SpiderHolster is compact, durable, lightweight, and allows for quick access to your camera. The SpiderHolster is ideal for lightweight DSLRs and Point-and-Shoot cameras. Additional styles available.